The Rocky Hill Coal Mine is threatening the beautiful Gloucester Valley. I received a call from the EDO earlier this afternoon that GRL (Rocky Hill) were going to file a Notice of Intention to Appeal. Even though we had been prepared for this it still came as a shock. To be honest, I fell pretty angry about the relentless arrogance and appalling behaviour of the coal industry at large riding roughshod over so many communities like ours. However, to be clear, this is an intention to lodge an appeal. This is not an appeal itself and indeed after the two month period from today where GRL are required to file their appeal (May 8th 2019) it could be that they decide not to appeal! However, we will prevail. For the next two months we get on with our lives as usual and wait to see if the appeal eventuates. If it does, the EDO will be ready yet again to fight on your behalf. It would be wonderful if people could support those they know of who have been enduring this decade of uncertainty with a phone call or a coffee or maybe something stronger! Lets support each other as we always do, moving forward and keeping positive. This is what these companies do everywhere - only this time we have everyone on our side to protect Gloucester. We will keep you updated as to any further developments. Please give me a call if you need clarification on any of this - and don’t forget to buy your tickets to our Gloucester Sustainable Futures Convention 30-31st March - uplifting, positive and amazing weekend you will not want to miss!! Tickets selling fast! Well it's been a huge week for everyone at EDO, and our clients across NSW. Firstly we had the report from the SA Royal Commission into the Murray-Darling Basin, which validated the legal advice and submissions we've made over the past several years and reinforced the pressing need for the policy changes our expert staff are recommending. Then we had Friday's fantastic win on our Rocky Hill case in the Land and Environment Court - a wonderful result for the community of Gloucester, a testament to our Barrister, Robert White, expert witnesses Emeritus Professor Dr Will Steffen, energy analyst Tim Buckley, acoustics expert Stephen Gauld and anthropologist Dr Hedda Askland, and a hugely important judgment in Australian climate litigation. THANK YOU to everyone who supported us while we built and argued our case - we could not have done it without you! 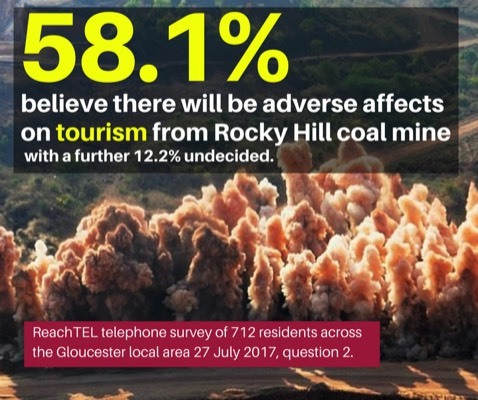 Importantly, the Court found that the Rocky Hill coal project will cause a variety of serious negative social impacts to the Gloucester community, including visual, noise and dust impacts, and significant impacts to Aboriginal Cultural Heritage, stating that the mine will severely impact on people’s sense of place - especially damaging to local Aboriginal people and their connection to Country. This landmark case is a seminal moment in the development of climate litigation in Australia and well and truly puts us on the map in terms of international climate change litigation. EDO's public interest environmental lawyers are at the forefront of using the law to protect our climate and nature for current and future generations. Our argument was based on science, economics and – we argued - the proper application of the law. 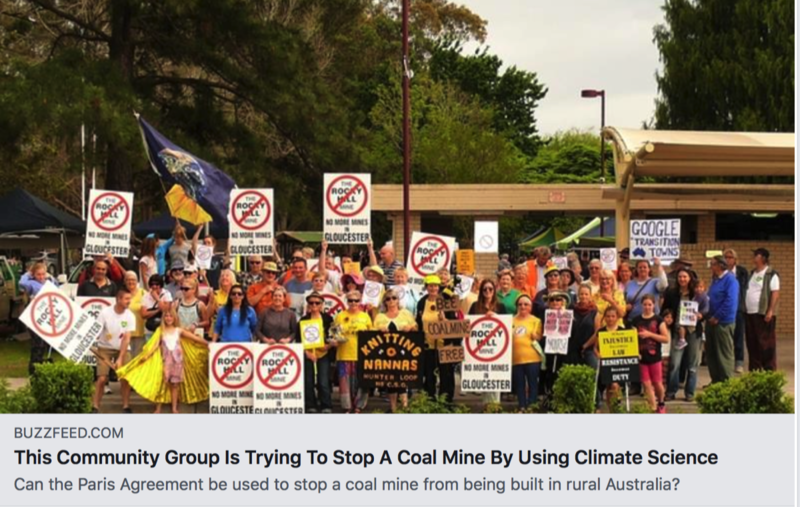 The climate contention as a ground for refusing this mine was innovative; the first time climate change has been addressed this way in an Australian court using the concept of a carbon budget as its basis. Like so many great ideas, its strength was its simplicity. While there was lots of necessary evidence and discussion about the carbon budget, geopolitical climate policy and Australia’s legal framework for climate change, ultimately our argument was simple: if you accept the science, then the local legal framework compels you to refuse the mine because it’s clearly not in the public interest to increase emissions. As Professor Steffen said in Court, “it’s one atmosphere, it’s one climate system, it’s one planet - and so we need to start thinking more carefully about the net effect of wherever coal is burnt, or oil or gas… The project’s contribution to cumulative climate change impacts means that its approval would be inequitable for current and future generations”. 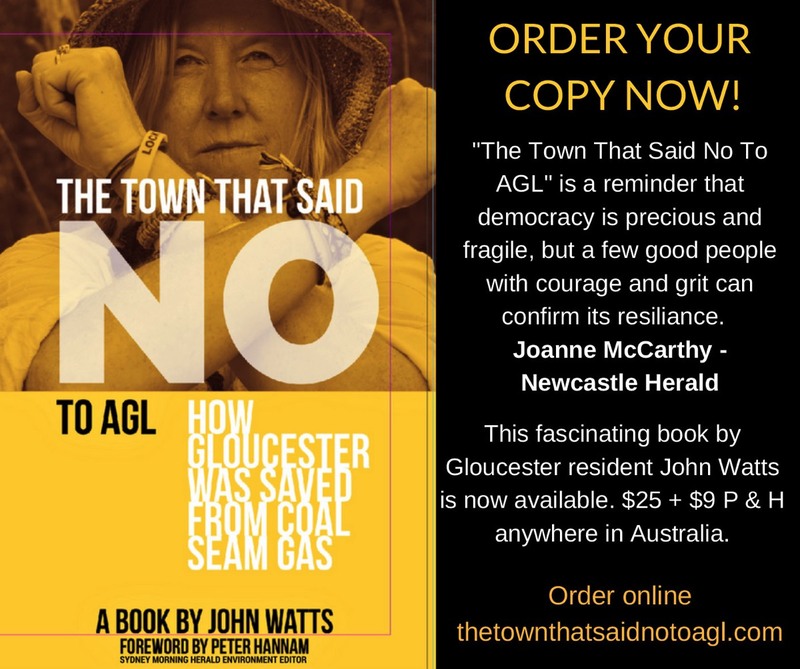 Julie Lyford, Chair, Groundswell Gloucester, “The Gloucester community is deeply grateful to EDO NSW staff and Barrister Robert White for their unstinting support of the Gloucester residents and assisting in the protection of our beautiful valley. We are ecstatic that the court has ruled against the proposal for an open cut mine, 250m deep and less than 1km from family homes. Climate change is the major threat to our regions, water, health and to the planet." Thanks again for the support you've shown us too - it's heartening to know we have your backing when we're in Court, defending local communities and everybody's right to a safe, healthy environment. If you're able to become a Friend of the EDO and commit to a regular donation, or make a one-off gift today, we would very much appreciate it. We can't do it without you! EDO NSW recognises the traditional owners and custodians of the land, seas and rivers of Australia. We pay our respects to Aboriginal and Torres Strait Islander elders past and present, and aspire to learn from traditional knowledge and customs so that, together, we can protect our environment and cultural heritage through law. Thank you all so much for what you have done to achieve this result. Our barrister Robert White said that the grounds for refusal that were raised by the residents were a strong part of the decision - all the hard work and your efforts were critical to the final decision and your input was incredibly valuable. Thank you. It has been a massive day, National news coverage, twitter storm and Facebook frenzy. Let’s keep up the pressure so we can take climate change right up into the hallowed halls of Parliament. Chief Justice of the Land and Environment Court Brian Preston SC handed down his judgment today in a landmark case, refusing approval of a new coal mine to be built just outside of the town of Gloucester in the NSW Upper Hunter Valley. This is the first time an Australian court has refused consent for a coal mine on the basis of its climate change impacts. The Court also poses a foundational question for all future fossil fuel projects: “the wrong time” test. The Court accepted our scientific evidence and the concept of a global carbon budget. 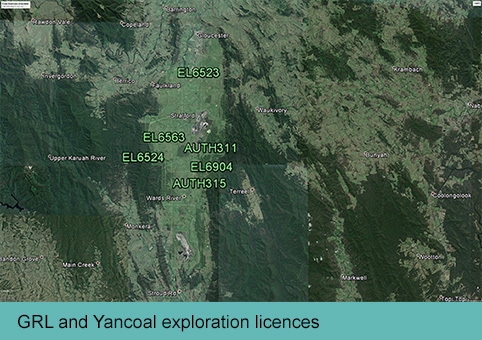 NSW Environmental Defenders Office CEO David Morris stated “In the face of that acceptance, the judgment presents a foundational question for all decision makers. It is this: given that, if we are to remain within the global carbon budget, only a finite amount of additional carbon can be burned, and that existing approvals already exhaust that budget, why should this particular project be prioritised over any other, or displace an existing approval? That is ‘the wrong time’ test and will prove an insurmountable barrier for many projects going forward”. Representing community group Groundswell Gloucester, EDO NSW argued the mine was contrary to the public interest and principles of ecologically sustainable development because of its significant social and climate change impacts. The Court accepted those arguments in deciding to refuse approval for the mine, finding that carbon emissions from the mine will contribute to global warming, such that approving it will not assist in achieving the rapid and deep reductions in emissions needed in order to meet Australia’s Paris targets. 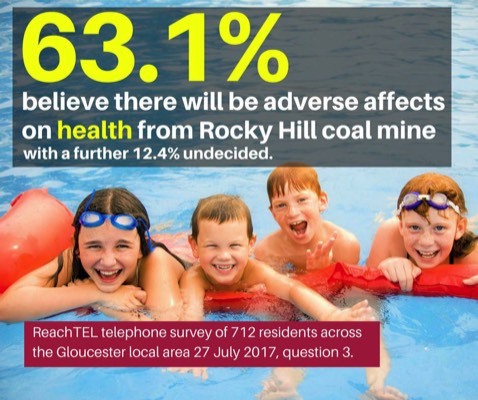 The Court found that the Rocky Hill coal project will cause a variety of serious negative social impacts to the Gloucester community, including visual, noise and dust impacts, and significant impacts to Aboriginal Cultural Heritage, stating that the mine will severely impact on people’s sense of place. This landmark case puts Australia well and truly on the map in terms of international climate change litigation. The NSW Environmental Defenders Office (EDO NSW) is at the forefront of public environmental interest lawyers using the law to protect our climate and environment for current and future generations. This was a once in a generation case: the first hearing of its kind since the historic Paris Agreement, in which a superior jurisdiction Australian court heard expert testimony about climate change, the carbon budget and the impacts of burning fossil fuels. Acting for local community group, Groundswell Gloucester, the Environmental Defenders Office, with counsel Robert White, heard from expert witnesses on visual and noise impacts, climate science and energy finance, the economics of coal, town planning and the social impacts of a mine on the town’s doorstep. The court also heard from energy analyst Tim Buckley on the risk that the coal mine would become a stranded asset, given market trends away from coal; acoustics expert Stephen Gauld on the noise nuisance from the mine; and anthropologist and expert on regional communities and displacement Dr Hedda Askland on the social impacts should the mine go ahead. David Morris, CEO of EDO NSW: Our argument was based on science, economics and – we argued - the proper application of the law. The climate contention as a ground for refusing this mine was innovative; the first time climate change has been addressed this way in an Australian court using the concept of a carbon budget as its basis. Like so many great ideas – its strength was its simplicity. While there was lots of necessary evidence and discussion about the carbon budget, geopolitical climate policy and Australia’s legal framework for climate change, ultimately our argument was simple: if you accept the science, then the local legal framework compels you to refuse the mine because it’s clearly not in the public interest to increase emissions. As Professor Steffen said “it’s one atmosphere, it’s one climate system, it’s one planet - and so we need to start thinking more carefully about the net effect of wherever coal is burnt, or oil or gas… The project’s contribution to cumulative climate change impacts means that its approval would be inequitable for current and future generations”. 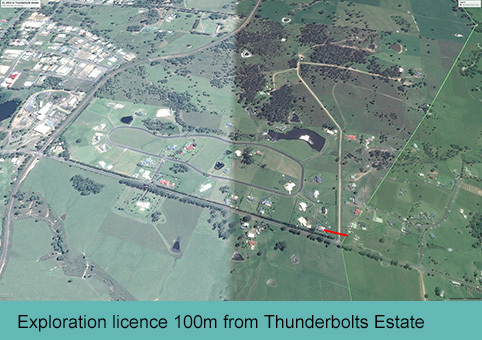 60 community objectors, including farmers, doctors, Traditional Owners, old people and young people, gave evidence. Some were opposed because of noise impacts, others worried about how the mine might tear at the fabric of their community. Many were very concerned about their children and grandchildren and the kind of world they will live in if projects like this, which contribute to climate change, continue to be approved. 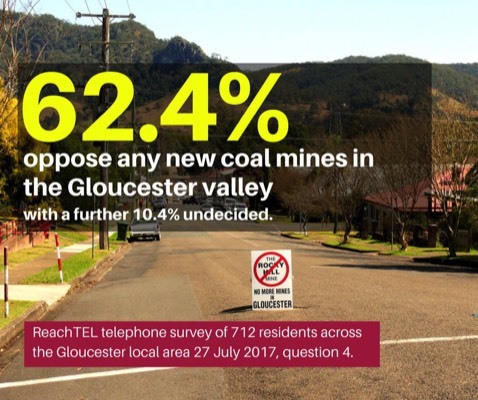 Julie Lyford, Chair “The Gloucester community is deeply grateful to EDO NSW staff and Barrister Robert White for their unstinting support of the Gloucester residents and assisting in the protection of our beautiful valley. We are ecstatic that the court has ruled against the proposal for an open cut mine, 250m deep and less than 1km from family homes. Climate change is the major threat to our regions, water, health and to the planet. There should be no new or expanded coal mines and the State and Federal Governments need to transition to renewables as fast as they can. Finally, Groundswell Gloucester would like to see a Royal Commission into the coal and gas industries in NSW, including the relevant state government departments that many communities see as giving scant if any regard to the massive and detrimental impacts of coal and gas developments on communities and their environments across the state. Well the time is nigh!!!! Tomorrow morning, 8 February at 9.30am, the verdict of the Rocky Hill court case appeal will be handed down in the Land and Environment Court by Chief Justice Preston. There will be a huge amount of media interest and the Groundswell team will be guided by the EDO in our responses. There is the possibility of an appeal whichever way the judgement falls. Karen O’Brien has very kindly offered her Hillview Herb Farm as the gathering place for all who are interested in getting together for the judgement at 9.30 to 10.30am, 8 February. Please get the word out for people to attend as a show of strength whatever the outcome. We are organising the TV media and hope they will be in attendance at approx 10am and it would be fantastic if there was a great crowd there. I will confirm with Karen and we will send out a further notice if anything changes re times to be at Karen’s. There will not be a spokesperson for Groundswell in Gloucester as we will nearly all be in Sydney (travelling down at 5am tomorrow) and our response needs to be considered in line with the EDO. For us, it is more appropriate that those clearly affected by this judgement are the ones to be talking to the media in Gloucester. There will be a major press conference in Sydney at 11.30am tomorrow once the EDO have digested the findings and to make sure we stay focussed on the legal issues. Naturally, we will be talking about our community and how amazing you all are! It’s not quite over yet, however send your positive thoughts to us all tomorrow and to those gathered at Karen’s place. 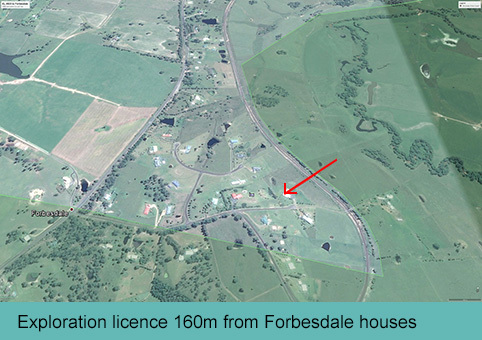 Hillview Herb Farm is on the corner of Buckets Way and Fairbairns Rd. Please bring a plate of something to share and your refreshments as Karen is really busy with her farm activities. Thank you Karen for sharing your home and gardens. Chief Justice Brian Preston will hand down his judgment in the Land and Environment Court, room 12A, tomorrow Friday 8 Feb at 9.30am on the case of Gloucester Resources Limited v Minister for Planning & Groundswell Gloucester Inc – AKA the Rocky Hill Coal Mine. This is a once in a generation case: the first hearing of its kind since the historic Paris Agreement, in which a superior jurisdiction Australian court heard expert testimony about climate change, the carbon budget and the impacts of burning fossil fuels and how these issues should be considered when deciding whether to approve a new coal mine. This may go down as a seminal judgment in climate litigation in Australia. Representatives of the Environmental Defenders Office (EDO NSW) and Groundswell Gloucester will be available to speak to the media. 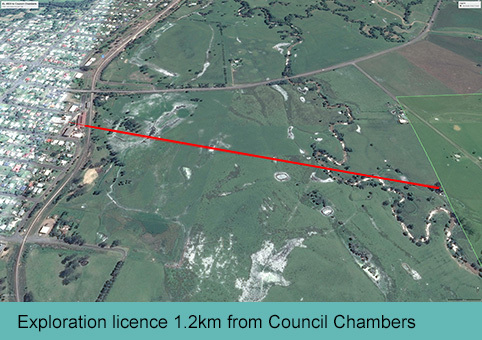 EDO NSW represented local community group, Groundswell Gloucester in this public interest environmental law matter, empowering the community throughout the legal process, connecting them with scientific experts and providing excellent legal representation to build their case. In August 2018, Emeritus Professor Will Steffen, energy analyst Tim Buckley and over 60 community objectors appeared as part of hearings in the NSW Land and Environment Court raising issues in relation to social impacts and climate change. The Groundswell Gloucester AGM was held on 27 September 2018. Ordinary Members - Di Montague, John Watts, Jeff Kite. As we live on the lands of the Worimi and Biripi First Nations people, we pay our respect to elders past, present and to those leaders of the future. 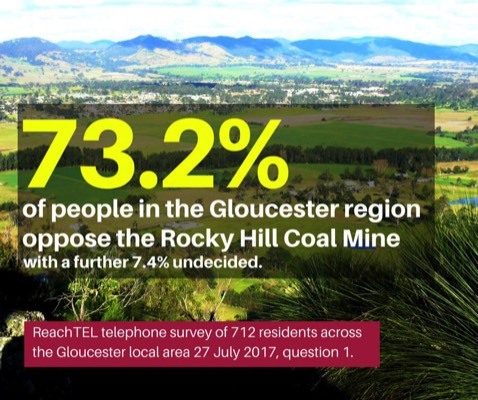 This has been a huge year for so many - our community has weathered and admirably countered the Rocky Hill Coal mine proposal in all its phases. From the Environmental Impact Statement (EIS) process, then the Planning Assessment Commission (PAC) process - and now the appeal. Thousands of hours have gone into writing submissions, meetings, minutes, press releases, lobbying, fundraising, supporting, arranging interviews, court appearances - the list is endless. Without the support, either financial, time given or from afar we would be in a different position today. We are extremely grateful to the many hundreds of people who have stood by this and other fights against the coal and coal seam gas industry over a period of approx 15 + years. Many of us started our activism when Gloucester Coal opened its boutique mine in the mid-nineties. How can we ever acknowledge so many people and organisations - many activism groups; small to large, Lock The Gate Steve Phillips and George Woods, the incredible Knitting Nannas - the list is endless. On behalf of Groundswell Gloucester we would like to thank all of our members and supporters for the dedication and support you have given in so many ways. The personal cost to many has been great. The friendships made are without doubt one of the major positive outcomes. The 2017/2018 team of Groundswell - Graeme Healy, Sue Kingston, John Watts, Ed Robinson, Di Montague, Jeff Kite, Steve Robinson, Gerald McCalden and myself thank you for your support. As we await the decision from the NSW Land and Environment Court regarding the Rocky Hill appeal, it is time to rest, restore our lives to normality and get back to enjoying our community and sense of place. We deeply appreciate the support of the NSW EDO and our legal Counsel Robert White. We thank the expert witnesses, those who travelled to the court every day, the coffee, lunch, shifting sands - ultimately every day was a good day. Gloucester community has been interviewed, assessed, documented, diarised and has birthed an author or two. We have assisted researchers in finishing a few PhD’s on our situation, thrown a few parties and watched films, held trivia nights and wine/music afternoons to fill our time! It has been a great pleasure being on this journey with so many wonderful people who care. Groundswell will continue to morph into sustainability and education, as climate change is the biggest priority facing human kind and the planet. We can do it with fun, make sure we laugh, enjoy our friendships, make some more - and let’s knock this coal mine on the head for good. Sustainable Futures will hold its third convention on 29/30/31 March 2019 and planning has already started based around the Australia Remade concepts. Lastly, deep gratitude to outgoing committee members Steve Robinson and Graeme Healy, for approx 20 years fighting to keep the environmental integrity of the Gloucester valley and the Barrington Tops. We have been inundated with messages of congratulations and media requests and whilst we cannot get back to everyone please accept our deepest gratitude for your support. Following the recent update about the Rocky Hill Court Case, many have requested bank details in order to make a donation. These offers are very much appreciated. 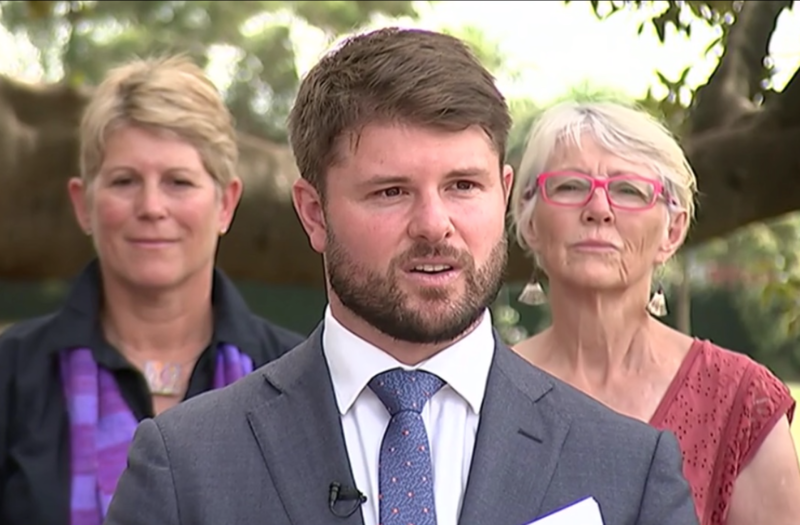 "I support the Gloucester community in their battle to decide their own economic future and to protect the homes, land and water of the Gloucester Valley from the destructive impacts of the coal and coal seam gas industries. Keep me informed and let me know how I can help. " Please identify with your name and the word "donation" Thank you!